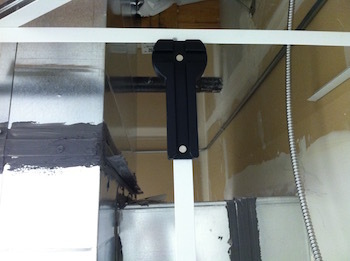 Cross-T-Squared, if you do T-bar or suspended ceilings you need this tool now. The T-bar tool your competition DOESN'T want you to know about! The short answer is, yes, because the Cross-T-Squared saves you (or your installers) time and money on every single suspended ceiling job you do. I started in the T-bar trade in Las Vegas in 1980. 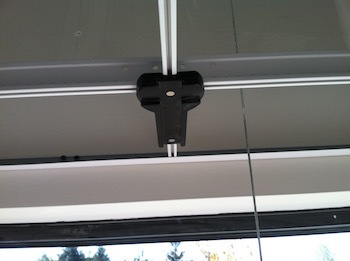 I have used my XT2 (my nickname for this tool) on every single project I have been on since 2004, when I invented what's become known as the "best suspended ceiling tool". But, I don't expect you to just take my word on this. Please, check out the Cross-T-Squared for yourself, and you'll see what all the buzz is all about too. You have seen this a million times before, a perimeter tee that needs to be set before you rivet or berc clip. 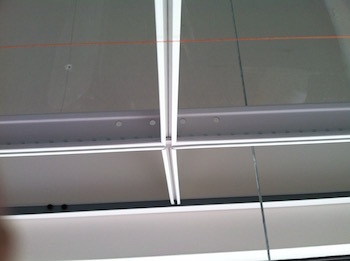 Grab the "best suspended ceiling tool", and set it up to the grid. Once the tool locks onto the main, slide the tee left or right until it locks in, too. That's it, the tee is now perfectly aligned, and ready to clamp, punch and rivet (for the "popped side"), or snap on the Berc or ACM7 clip (for the "un-popped side"). Here we have a 9/16" slotted tee, that needs to be aligned as well. Grab your tape? Or a speed square? Maybe the "trustee eyeball" again? Personally, I do the same thing I have done since 2004. I grab my Cross-T-Squared, and flip it over to the 9/16" side. Then, simply repeat the process above, slide the tool onto the main, then slide the tee left or right, until the tool locks in. This is my "popped" side. I snap on a berc (or ACM7) clip and screw the clip to the upper wall angle leg. Double check my cut-in line, then put another screw through the clip slot and the web of the tee. Once the tee is riveted to the upper wall angle (or lower, depending on your preference), it's time for the Cross-T-Squared again. Simply align the outer tool edge to make complete contact with the wall angle, and the tee is now perfectly plumb. 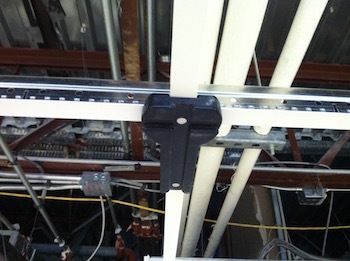 This suspended ceiling tool will work from either the top-down, or the bottom-up. Then simply, clamp, punch and rivet the tee to the other wall angle. Repeat for each vertical tee. 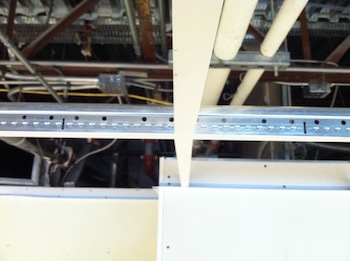 There is simply no faster way to build a soffit! 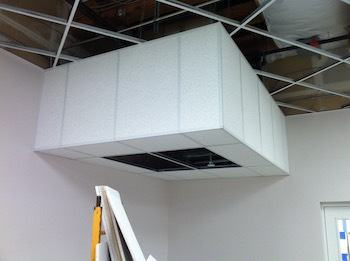 This soffit was built and tiled in just over an hour. 75 minutes to be exact. Save Time. Save Money. Save Materials. T-bar installers and suspended ceiling contractors who are using this tool have told me that the Cross-T-Squared is saving them time, money, and materials on every single job they do. Several have stated that they hope that their competitors don't find out about this tool! Imagine how much more competitive your bid is when you're saving about $100 - $150 per man, per week installing grid (it's no wonder they want to keep this tool a secret!). Save Time - On a 50' wall where every tee has to be pop-riveted, theoretically you'll pull your tape measure out 24 times, once for each cross-tee. After substantial testing, I have calculated that a T-bar installer doing grid 40 hours per week without this ceiling tool is costing you up to an extra five hours per week. That's a lot of time (and money spent) just measuring and spacing perimeter cross tees before you rivet or berc clip them. Save Money - For each installer making $30 per hour, using the Cross-T-Squared tool will allow him to recover up to an hour per day which potentially works out to $100 - $150 in savings per man, per week in straight labor costs. Don't forget the savings on labor overhead, too. This can translate into lower bids, or higher profit margins for your company. Save Material - Eliminating any errors on the perimeter tee spacing, results in materials saved. 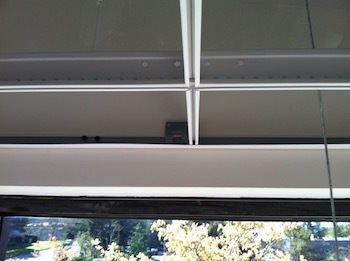 Perfectly aligning vertical soffit tees the first time means no "adjustments" need to be made after the fact. And when the Cross-T-squared is used for alcoves or around wing walls, getting the right measurement for the slot cut the first time, also results in time and material being saved. Take it for a test drive - I am so certain that the "Best Suspended Ceiling Tool" will save you time, money, and material every time you use it, that I offer a 30-day risk-free test drive. If at the end of 30 days you aren't happy with the tool, for any reason, simply send it back and request a refund of the original purchase price. The Cross-T-Squared perfectly aligns your perimeter tees to the main, before you rivet or berc clip. This is the tool the competition doesn't want you to know about!! Order your Cross-T-Squared tool(s) today! Copyright © 2004-2018 by Curtis Dennis Enterprises, LLC. All rights reserved.